Brilliant colors highlight this unique baseball street tag. The street tags are on a highly polished black finish. Set in the center of the tag is an outline of stars with red flames that are set behind a white baseball with red stitching and the word "Baseball" on opposite sides completes the award. This item measures 2 1/2" X 1 1/2" so it has plenty of room on the back for what ever personalization you require. 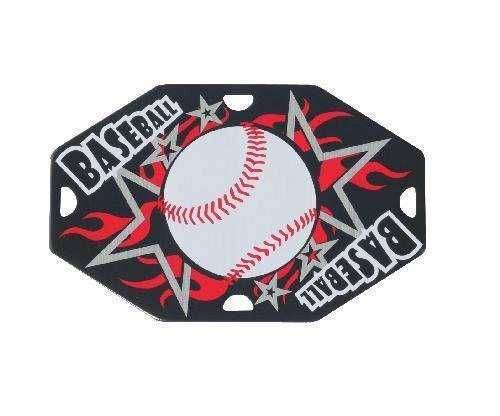 The baseball street tag can be given as either a key chain or a neck worn award providing you the ultimate in flexibility. 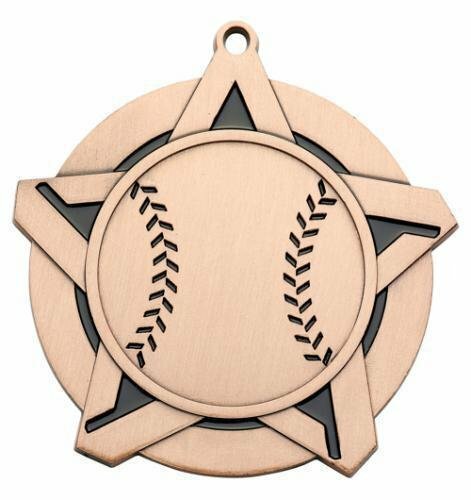 These Baseball Tempest Awards are great choice for next awards banquet. A swirling design starts from the base and gold stars meet a full color baseball at the top to complete the look. These Tempest awards are available in other sports and your choice of 5", 6" or 7" tall. The base on these awards provide plenty of room for whatever your personalization needs may be. 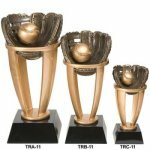 You will hit a home run with these awards! 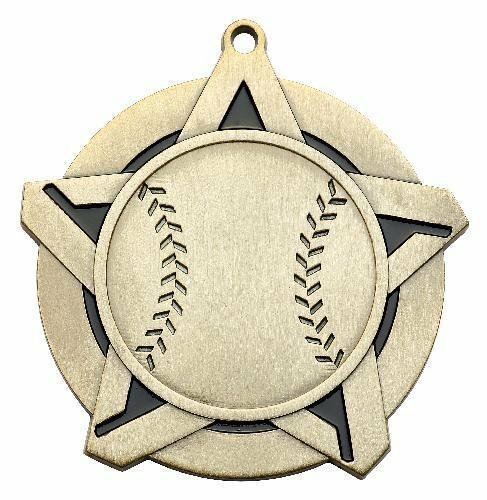 This stunning medal design features a baseball scene encircled by a frame of 10 shooting stars. The ring at the top allows it to be easily attached to the ribbon of your choice, and it can be personalized on the back for your event. This is a budget friendly award for excellence on the basketball court that will surely be cherished by the recipient. The medals are available in antique gold, antique silver and antique bronze. A full color baseball soars on 3 shooting stars on this fun Tri Star Resin. Personalized for your event this trophy is the perfect budget friendly recognition of excellence on the baseball field. The gold 5" baseball batter at the top of this trophy looks like he's ready for that game winning hit. Standing atop a sparkling blue column mounted on a genuine marble base, this trophy is available in 3 sizes and can be personalized to recognize the accomplishments of your team.